This is the first recipe I’ve made using the pre-prepared curry paste recipe mentioned in “Best Friends”. This is enough for two as part of a full meal or can easily be doubled or more. We had this quantity as a side dish to a main curry meal. It is really tasty! 2. Add the curry paste, chilli powder, salt and water. Bring to the boil and simmer for 5 minutes. 3. Stir in the yogurt a little at a time and cook for 3 minutes. 4. Add the potatoes and simmer for 5 mins. 5. 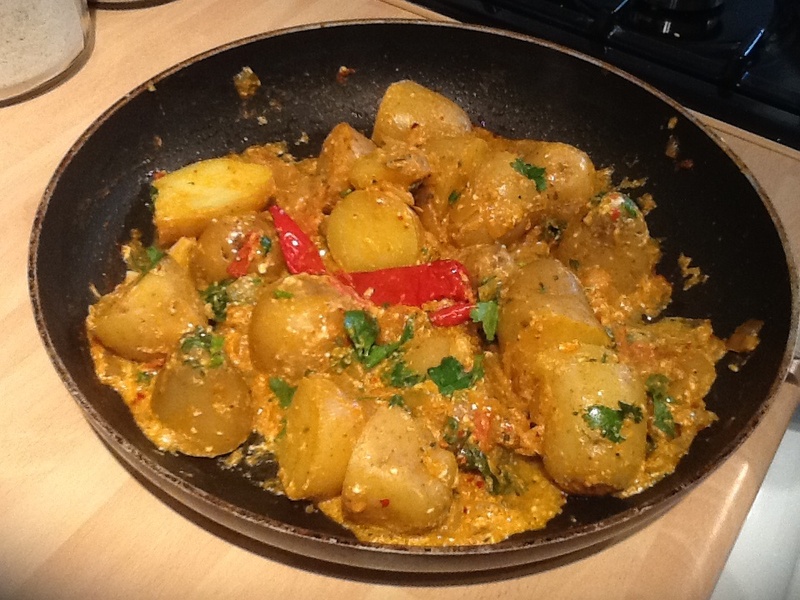 Stir in the fenugreek, fennel and garam masala and coriander. Cook for 1 more minute and serve. Thank you John – just been reading some of your blog it’s really interesting.